Atlanta Morningside homes for sale normally include some absolutely beautiful gems. In addition to lovely homes, historic Morningside is known for graceful tree-lined streets, charming neighborhood parks, award-winning schools and friendly people. Morningside was founded in 1931. Most historic homes were built between 1917 and 1936. The neighborhood features wonderful tree-lined streets with an eclectic yet unified collection of restored Four-Square, Tudor and Craftsman style homes. Plus there are often larger newly constructed Morningside homes for sale. Most of the new homes are traditional in style however occasionally there are normally a collection of contemporary homes for sale as well. Explore the latest Morningside real estate listings below or read more about living in Morningside. 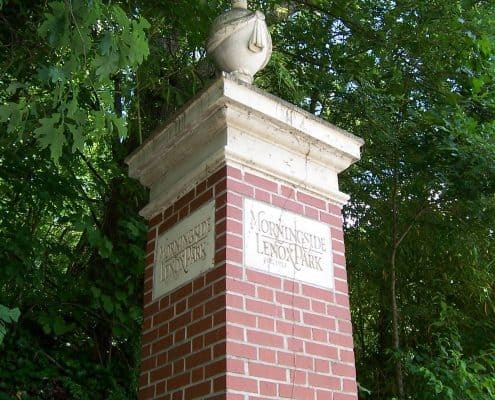 Located east of Ansley Park, west of Druid Hills and north of Virginia-Highland, Morningside is often referred to as Morningside/Lenox Park. That’s due to the two neighborhoods’ close proximity. Most would agree that Morningside offers residents southern charm and a certain international savoir faire. This is due to the shady tree-lined streets and larger parcels of land which allow for grander homes. Most other Intown Atlanta neighborhoods feature smaller lots. In addition, the neighborhood boasts a walkable micro-commercial area along North Highland Avenue. This area has quaint shops and restaurants including a popular European style bakery. And on Saturday mornings here residents enjoy strolling through the Morningside Farmer’s Market. The market offers fresh certified organic seasonal produce, breads, flowers and meats. Plus small batch chocolate and a variety of crafts from local artists. The market is a neighborhood gem and not to be missed! Complementing all the tree-lined streets are a collection of lovely parks, gardens and nature preserves. For example, the Morningside Nature Preserve which is a great place to walk and is a wonderful place to bring your dog. Morningside is one of the most best dog friendly Atlanta neighborhoods. Located between Wellborne Drive and Wildwood Road, it boasts over 31 acres of incredible forested green space. It features a tree-lined mile-long walking trail. Plus, a very cool suspension bridge spanning South Fork Peachtree Creek. Another is the Daniel Johnson Nature Preserve. It’s a wooded area covering 25 acres located on the south end of Herbert Taylor Park near Beach Valley Road. There’s also the impressive Morningside Community Garden located on Hillpine Drive. While traffic can be an issue around rush hour, residents do appreciate Morningside’s central location. Most days it allows for a decent commute to Downtown, Midtown or Buckhead. The Art Center & Lindbergh MARTA rail stations are easily accessible to the residents of Morningside. The Lindbergh station offers same day parking free of charge. Plus long term parking for a nominal fee. It’s also exhilarating to take a walk or ride a bicycle up and down the undulating streets of Morningside. Morningside has strong public schools K-12. There are also excellent and noteworthy private schools located nearby. Here are the area schools: Morningside Presbyterian Preschool, Morningside Elementary School, Springdale Park Elementary, Inman Middle School, Grady High School and The Children’s School. Atlanta’s Morningside neighborhood really does have it all. Lovely homes on tree-lined streets, southern charm with a progressive vibe, lots of parks and nature preserves. And a central location and many educational choices. If you’re considering buying or selling a Morningside home, talk with us.